Whoever said rabbit food isn’t any good needs to check again. Carrots, whether its the shredded stuff you see in a salad or the addictive baby ones, are both delicious and nutritious. Not only do they contain beta-carotene, which is responsible for that gorgeous orange hue, they are also filled with other health benefits that help all parts of your body. Let’s start with the beta-carotene, which is an antioxidant. When it is absorbed, it turns into Vitamin A in your body, which is great for your vision (that’s why people eat carrots for their eyes!) In addition, Vitamin A helps your immune system and works to keep your heart and lungs functioning properly. That’s just the beginning though- carrots also contain Vitamins E and K, potassium, magnesium and fiber. These nutrients have been linked to reducing the risks of cancer and heart disease, so there’s no reason to skip them! And if you’ve only got orange carrots on your mind, you’re about to get enlightened- carrots come in different colors, like purple and red, each containing its own benefits that give it that color. Red carrots are known for their lycopene content (red tomatoes also contain it) and purple carrots contain anthocyanin. These antioxidants work hard to keep your blood flowing and your body healthy. Those stories about people who turn orange from eating too many carrots shouldn’t deter you (but if it does happen, please send us a photo). 1. Munch on baby carrots dipped in hummus (or my personal favorite, guacamole!). 2. Add shredded carrots to the top of a slice of toast with peanut butter- the sweetness works well with the salty/nutty quality of PB! 3. 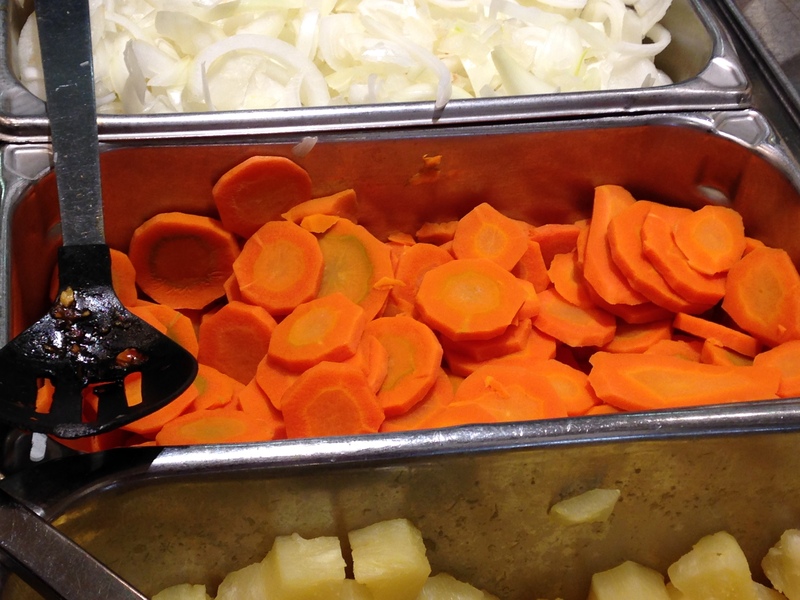 Pick up some pickled carrots from the grocery store. The acidic flavor balances the sweetness and makes for an awesome snack.